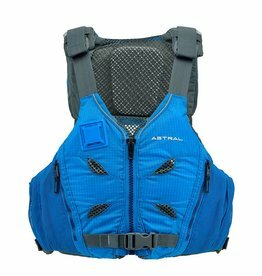 Founded in 2002, our first products were life jackets that were known to promote calm confidence in the most extreme whitewater. In 2012 we started making footwear because sandals are awkward, neoprene booties are toxic, and there was no river shoe with adequate grip, let alone good looks. Our approach to footwear proved successful and now people everywhere love our light, high performance kicks that have crazy grip and can play in water. Our reason for being is to make gear that elevates human’s experience in Nature, consciously made to preserve pristine soil and clean water. To maintain this focus, we remain independently owned and operated. 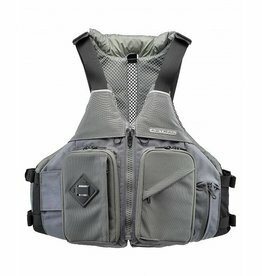 The Ronny delivers the best answer to today’s high seat back recreational and fishing kayaks thanks to our Thin-Vent™ back design. 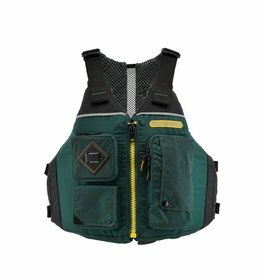 This multi-pocket life-vest has been designed for maximum comfort and usability. The elegant design is completely out of your way, but transforms into a large buoyant bubble with the jerk of the cord if things go awry. 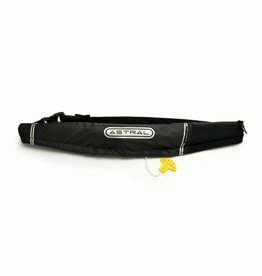 This is the ultimate PFD for use in calm, warm waters near shore. 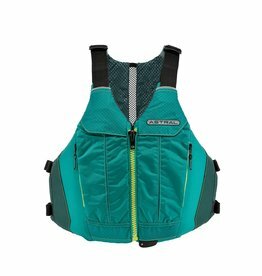 The Linda is a beautifully designed, feature-rich women’s life jacket utilizing our Thin-Vent™ back.